Seven years after they first started cataloging their globetrotting adventures on a YouTube channel called High On Life, Ryker Gamble and Alexey Lyakh have passed away. The two travel vloggers, along with Lyakh’s girlfriend, Megan Scraper, died after an accident at Shannon Falls in British Columbia, Canada. The accident, which was first reported on July 3, took place place at one of Shannon Falls’ naturally-occurring pools, from which the victims fell approximately 30 feet. According to Canada’s National Post, Gamble, Lyakh, and Scraper were all in their late 20s and early 30s. 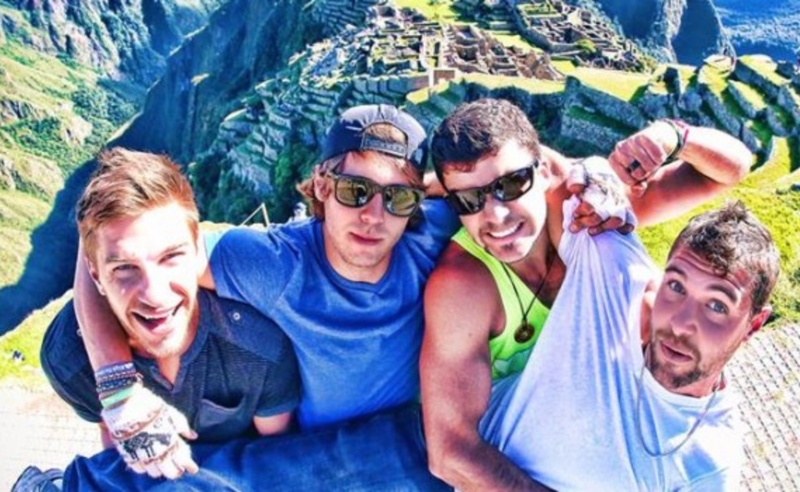 Gamble and Lyakh, along with friends Parker Heuser and Justis Price Brown, were the co-founders of High On Life, which amassed more than one million followers on Instagram and close to a half-million subscribers on YouTube by offering dispatches from the four friends’ travels, lists of fun places to visit in various countries, and vlogs filled with daring adventures and thrilling stunts. The channel’s co-founders met in high school and had “been making videos ever since,” according to their shared Facebook page. The group’s members were cited in 2016 for several violations at national parks across the American West. They pled guilty, resulting in fines that totaled more than $5,000. Gamble and Lyakh also received week-long jail sentences. More recently, Gamble and Lyakh helped others increase the size of their social media audiences by launching an Instagram-centric course called IG Millions. In the wake of the shocking tragedy, friends of Gamble, Lyakh, and Scraper have turned to social media to express their condolences. A few heartfelt posts have been collected by the Vancouver Courier.